There is some doubt about Hoover and Reagan as some images seem to show both of then writing right-handed, but often images get flipped unintentionally. Our "Left Handed History Of The World" book includes Reagan among the left-handed presidents - was he made to change hands for writing? Does anyone know for sure so we can put this to bed? 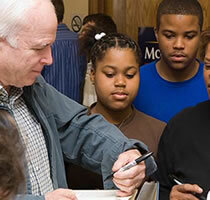 What IS interesting is that BOTH of the leading presidential candidates this year are left-handed writers - Barack Obama and John McCain. Barack Obama was a nominee (and eventual winner) for the Left Hander Of The Year vote - click here to see a profile and more information. They both seem to have a bit of a "hook" in the writing style as well! If one of them does become the next US president (and assuming Reagan is a natural left-hander), that will be 5 out of the last 7 (71%) when only about 10% of the population are left-handed - Go Lefties! The BBC Radio 4 station in the UK contacted Lauren for a contribution to their breakfast show on June 24th 2008. I am writing this quick e-mail to congratulate you on your fantastic left-handed communication skills as heard on the Today programme! Not only did you know the information about Neuroscience and how left-handers are generally good at communicating, you also demonstrated it with your clear, concise answers. A great advert for left-handers. Well done! Dr Alison McCowat, Child Psychiatry SpR. The photo of President Reagan is not flipped. 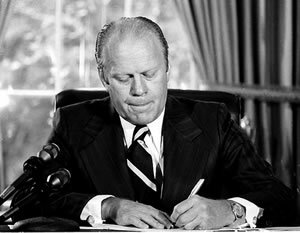 He always had his hair parted on that side so he is writing right-handed in this photo. 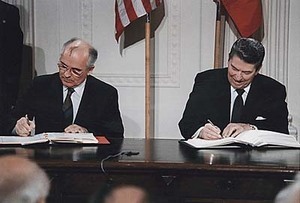 There is an easy way to reveal whether Reagan was signing a document left handed and yours is a flopped photo, or was signing right handed in the same picture. I tried to find ut myself using Photoshop on your image, but the resolution is too low. Look at your original, or a more high-res image, then zoom close enough to see if the type on the documents is backwards or easily readable. Voila! (I say "easily readable" because, like Leonardo, and I imagine many other lefties, I can read backwards....) Find out, and let us know? Hey, how about publishing notes from readers on difficulties and obstacles found living day to day in this right-leaning world, and of course how these roadblocks can be leapt. Lept? Ronald Reagan was switched to right-handed methods in elementary school. My mother experienced the same thing as Left handedness was not permitted in those days. It's also interesting to note that in our presidential elections of 1992 and 1996, we had 3 lefties running for the presidency. In 1992 we had Bill Clinton (D) George HW Bush (R) and H Ross Perot (I). In 1996 we has Clinton and Perot again and Bob Dole was the republican candidate. A foot note on Dole; he was born right handed, but was severely wounded in WW II loosing the use of his right hand. Therefor, he was forced to become a lefty. However he always held a pen in his right hand in public appearances. In regard to John McCain's "hook," that might also have to do with the fact that, during his military service, he was tortured in Vietnam. I believe one of the techniques used was to tie his arms behind his back and then suspend him by his wrists, which dislocates the shoulders. In fact, it's known that, to this day, he is unable to raise his arms above his head as a result of this treatment, so it's possible that the way he writes is also a result--if you look at the photo his arm appears almost unnaturally stiff, at least to my eyes. For a future newsletter, could you please list, if possible, the number of left-handed British Prime Ministers. 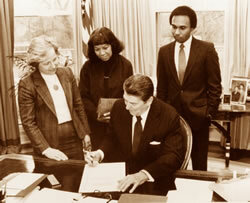 Your article on Presidents and Musicians suggests that the picture of President Reagan signing a book may have been flipped as he is pictured writing with his right hand. If you look closely you will see that the buttoning on the jackets of the men and women in the picture have not been reversed therefore Reagan must be writing with his right hand. I know a number of young people - who have never been made to write with their right hands, but who write right handed whilst doing everything else with their left hands, including swapping their knives and forks at the table, combing their hair, reaching out for something, ironing, paying for something, holding a hand our for change and many other normal daily tasks. Children copy to learn and maybe that us why these kids write right handed although they are really left handed. I would like to add a bit of trivia about left-handed U.S. Presidents. 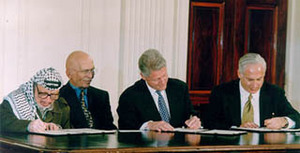 The three major presidential candidates in the 1992 Presidential campaign were all left-handed. The three were Incumbent George H. W. Bush, Ross Perot and William Clinton. As we know William Clinton defeated Bush and Perot, thus a left-hander succeeded a left-hander for the office of President. Thanks for the great web site. Jim & Sandy G, Brooklyn, Mi. My take on that fact is “ It takes so few of us to control the others! “ BHAhahaha Left hander don’t conform well => leaders don’t conform well. As the saying goes “All progress is based on unreasonable men and women” Keep up the good work! In short, most people who have pursued this question in depth have pegged Reagan as a right-hander. The question rumbles on as to whether he might have been forced to switch as a child, but no one knows where that idea originated and there doesn't seem to be any evidence at all. By the Duck Test, he's a right-hander ("If it looks like a duck..."). I just read about some of the past US presidents being left handed. 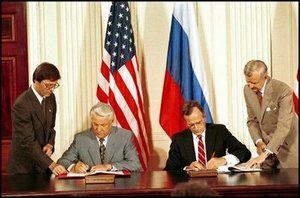 The article showed a picture of Ronald Reagan signing a document with what appears to be his right hand, but the article pointed out that sometimes the photos get flipped and so the picture appears to be his right hand, but might be his left because he is reported to be a lefty. Here's how you can tell if the picture has been flipped: Look closely at the buttons on the jackets of the people in the picture. Women's jackets are made with their buttons sewn on the left of their jackets. Men's jacket buttons are sewn on the right. If this is where their buttons are on their jackets, then the picture has not been flipped, and if their buttons are on the flip side, then so is the photo.